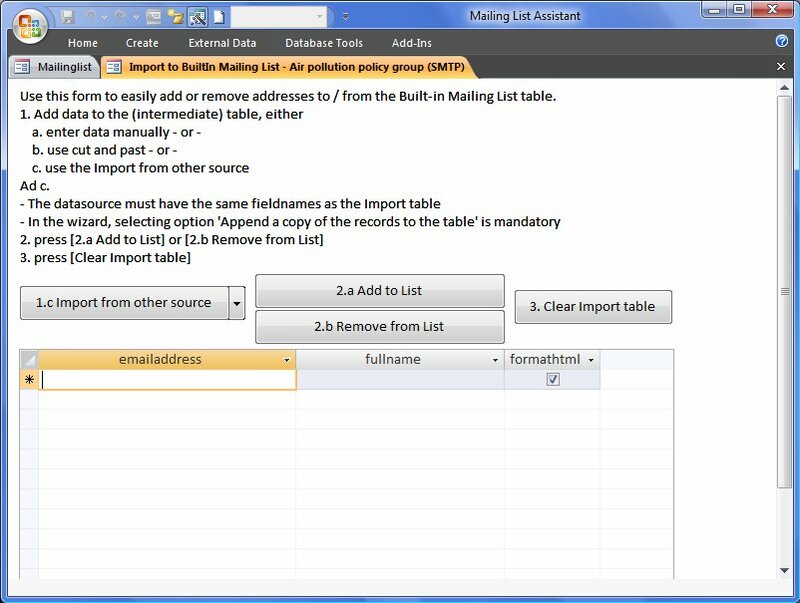 Start this dialog using the 'import/remove mailing list' button. In this form you don't add or remove records directly from the BuiltIn Mailing List. Instead, you choose a convenient way to fill the table on the form with email addresses and possibly additional data, followed by either [Add to List] or [Remove from List].